A native of St. Louis, Dr. Sullivan holds degrees from Washington University, Indiana University Jacobs School of Music, and Webster University. He studied with Robert Rayfield, Dame Gillian Weir, Oswald Ragatz, and has coached with Janetter Fischell and Christopher Young. 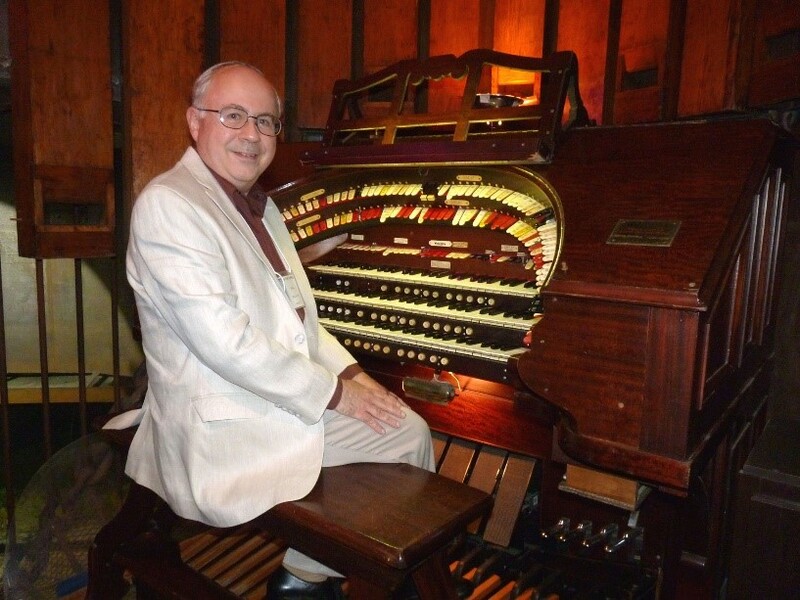 An accredited Associate of the American Guild of Organists, Sullivan has been active for 40 years as a church musician, recitalist, conductor, and editor. He has worked extensively in Repertory Theater, taught at Kenrick-Glennon College and has been heard in broadcast and on several recordings. Dr. Sullivan serves as organist at Leclede Groves Chapel and has been a regular on the Third Baptist Church Friday Pipes series. (You can find some of these on YouTube). He also serves as program advisor for King of Instruments (aired on 107.3FM/96.3 HD2 St. Louis, and streamed from rafstl.org). He is honored to be invited again to play for the St. Louis ATOS Party on the Pipes. His wife, Yvonne, is a music therapist and Director of Music at Calvary Presbyterian Church. She also enjoys planning trips that include opportunities for William to serenade her on historic theatre organs throughout the Midwest.